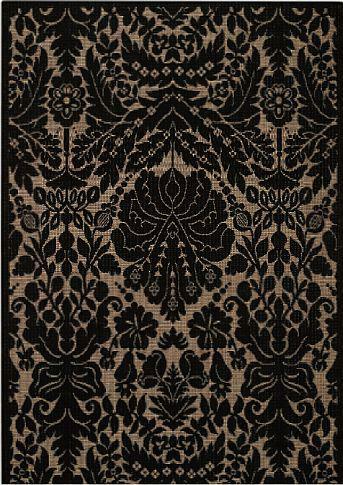 The Sterling Damask Outdoor Rug is Machine Woven in 100% Olefin and is manufactured in Egypt.. 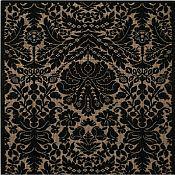 The Sterling Damask rug is so soft and comfortable it's hard to believe you can use them outdoors as well as in your home. Very versatile, this rug can be used indoors or outdoors on porches, verandas or you might want to use one in a busy area of the house. Spills wipe away with damp cloth and warm water. These all weather outdoor rugs are perfect for porch and patio thanks to a fade, water, mold and mildew resistant construction. Available in Black only.